This is a special Final Fantasy XV Audi R8. It’s a real car you can drive, one of a kind, and going on sale in Japan. 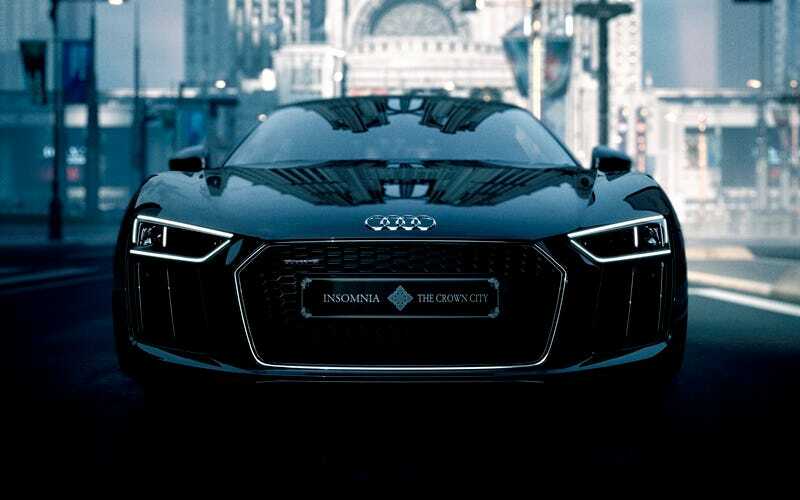 Dubbed “The Audi R8 Star of Lucis,” this car appeared in Kingsglaive Final Fantasy XV and is a collaboration between the Final Fantasy XV team and the German car maker. It’s now going on sale as part of Final Fantasy XV’s launch. The car is priced at 50,000,015 yen (US$469,256), and since there is only one, Audi Japan is holding a raffle to give out the chance to buy. Interested individuals can enter starting November 21 at 10:00am in Japan. While this R8 does come with Audi’s V10 plus engine, it does not come with a copy of FFXV and all its DLC.